24 February 2017 – Western Digital Corporation, a global storage technology and solutions leader, today announced its fastest, high-capacity USB flash drive to date with the launch of its high-performance 256GB* SanDisk Extreme PRO USB 3.1 Solid State Flash Drive. The new drive delivers the speed, capacity, and reliability of an SSD in the convenient form factor of a small USB flash drive, and is ideal for creative professionals, tech enthusiasts, or anyone who creates and shares massive files. A game-changer in the USB storage category, the drive is capable of read speeds up to 420MB/s and write speeds up to 380MB/s. With its unprecedented speeds, you can transfer full-length 4K movie to the drive in less than 15 seconds. 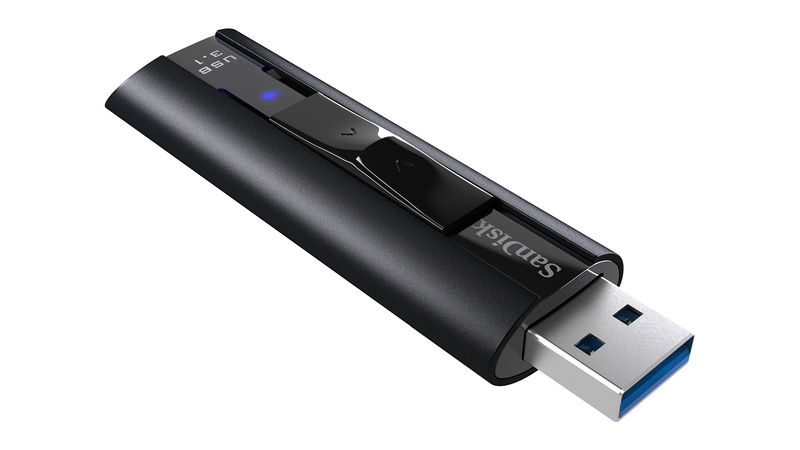 With its USB 3.1 interface, people can rapidly access and move files on the go, without having to worry about a cable. The new drive also features a sophisticated design with a durable aluminum metal casing and a retractable connector for ultimate style and reliability. The SanDisk Extreme PRO Solid State Flash Drive is available up to 256GB, giving consumers plenty of room to manage large files. For added file protection, it includes the SanDisk SecureAccess software, which offers 128-bit file encryption and password protection. The drive also comes with a limited lifetime warranty. The SanDisk Extreme PRO USB 3.1 Solid State Flash Drive is now available in Malaysia in capacities of 128GB and 256GB with MSRPs of MYR 469 / ~US$ 104 and MYR 769 / US$ 170, respectively.